The Black Angel deposit represents the most important base metal deposit in Greenland, having produced 11.2 million tons of Pb-Zn-Ag ore from 1973 to 1990. The deposit is hosted by a greenschist facies calcitic marble of the Mârmorilik Formation of the Paleoproterozoic Karrat Group. The ore consists of sphalerite, pyrite, and galena, with minor amounts of chalcopyrite, arsenopyrite, tetrahedrite, freibergite, tennantite, stannite, briartite, rutile, and graphite. Pyrite occurs as porphyroclasts and as fine-grained euhedral grains and is commonly surrounded by sphalerite, galena, and chalcopyrite. Deformation textures such as pyrite annealing, fracture healing by sulfides as well as “Durchbewegung” textures are common. Electron microprobe analysis and laser ablation-inductively coupled plasma-mass spectrometry trace element analysis show that tetrahedrite-freibergite and galena are enriched in Ag and represent the main Ag carriers. Galena also hosts substantial amounts of Sb, Sn, and Bi. The presence of Ge-rich chalcopyrite and briartite (Cu2(Zn,Fe)GeS4) inclusions in sphalerite indicates that the Black Angel deposit may be host to an hitherto unrecognized Ge endowment. It is suggested that sphalerite and briartite co-precipitated from a hydrothermal fluid having an intermediate sulfidation state. The origin of the deposit remains ambiguous. 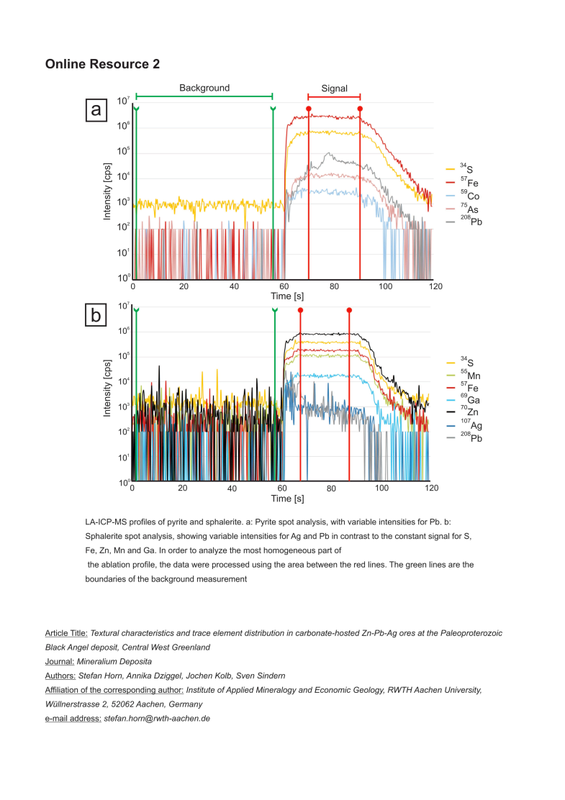 The calcitic host rock, epigenetic style of mineralization, presence of anhydrite, and occurrence of hydrothermal breccias are consistent with an origin as Mississippi Valley-type deposit. However, much of the mineralization is syn- to late-tectonic and syn-metamorphic, and the sulfide textures are consistent with a metamorphic overprint. 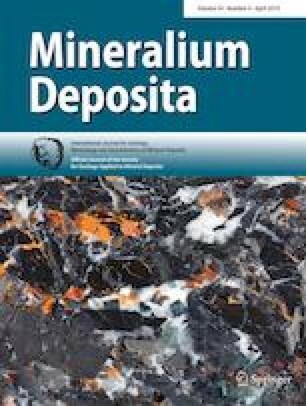 An origin as carbonate-hosted polymetallic Kipushi-type deposit is thus more likely, since these deposits constitute the primary deposit type from which briartite has been previously documented. The online version of this article ( https://doi.org/10.1007/s00126-018-0821-5) contains supplementary material, which is available to authorized users. This study presents the results of a M.Sc. project carried out by Stefan Horn at the Institute of Applied Mineralogy and Economic Geology at RWTH Aachen University. The samples used in this study were provided by the Geological Survey of Denmark and Greenland (GEUS). We gratefully acknowledge the support of the GEUS team, especially Bjørn Thomassen for preparing the samples and providing additional information and Diogo Rosa for fruitful discussions on briartite and the origin of the Black Angel deposit. We would like to thank Associate Editor Thomas Monecke, Cora Wohlgemuth-Ueberwasser, and an anonymous reviewer for their valuable and constructive comments, which considerably improved the manuscript. Bernd Lehmann is thanked for editorial handling.